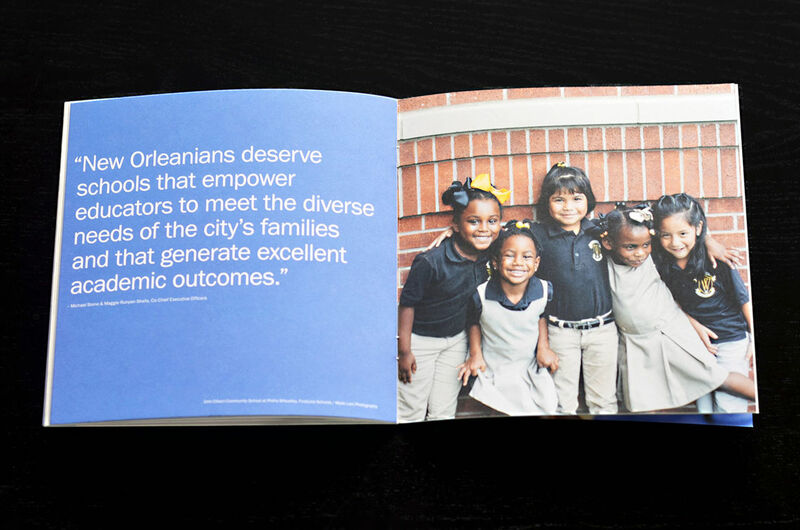 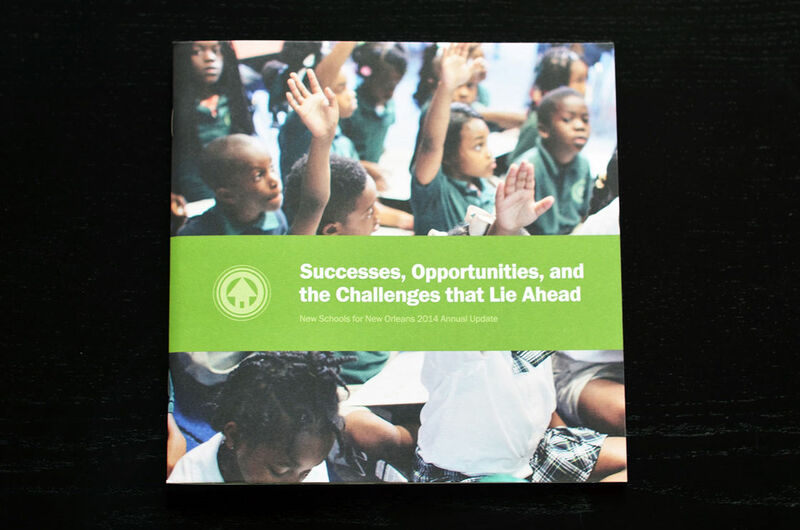 New Schools for New Orleans is a non-profit that works to ensure that New Orleans’ innovative charter school system delivers on the promise of an excellent public school education for every child it serves. 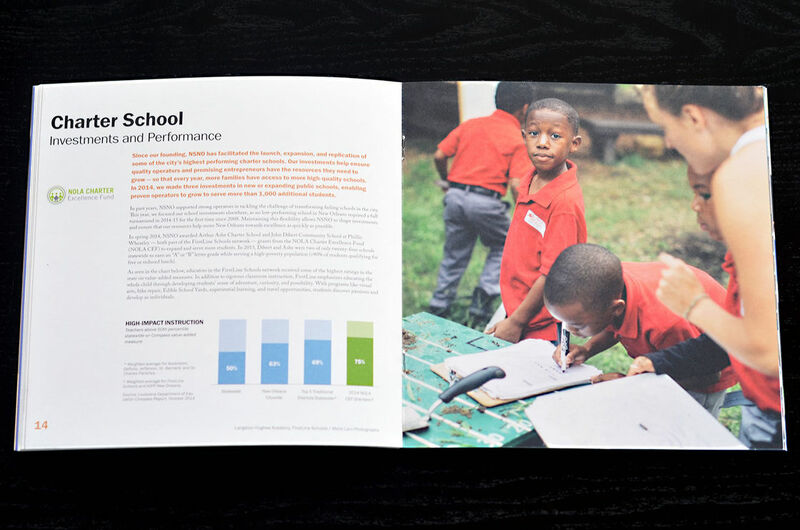 For their 2014 Annual Report, they approached Southpaw Creative to design a small, compelling booklet to chronicle their efforts from the past year. 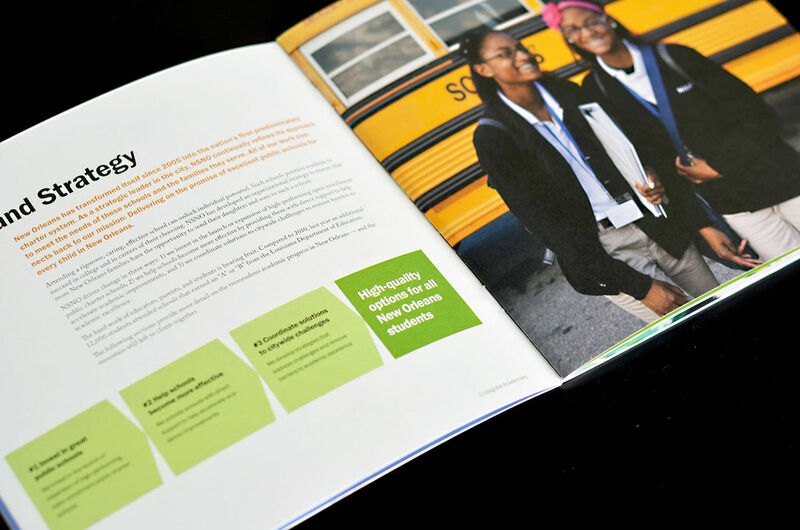 We were more than happy to jump on board and help them tell the story of their amazing work. 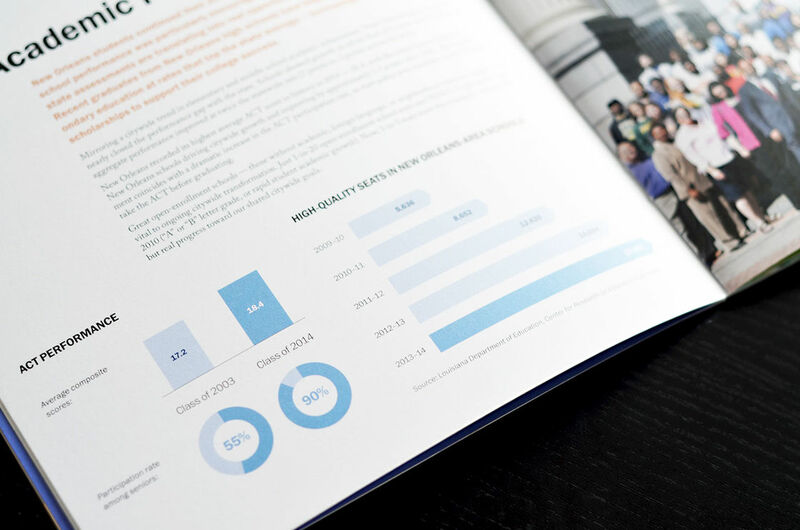 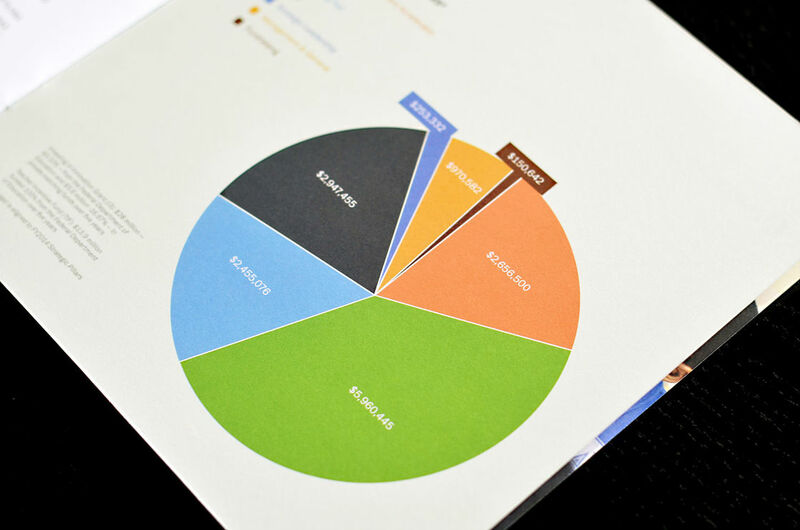 The goal was to present the organization’s overall narrative and key statistics while maintaining a distinct human element. 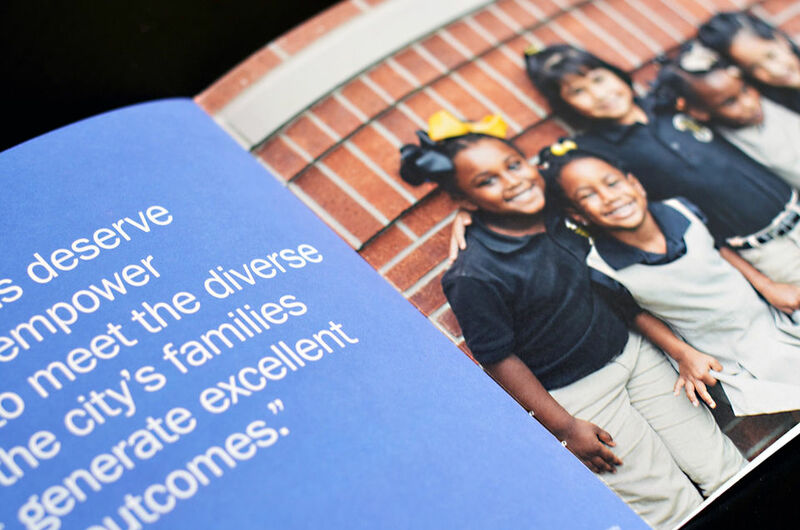 The finished product beautifully achieves this balance by utilizing large fields of bright colors and photos of the very children NSNO serves on a daily basis. 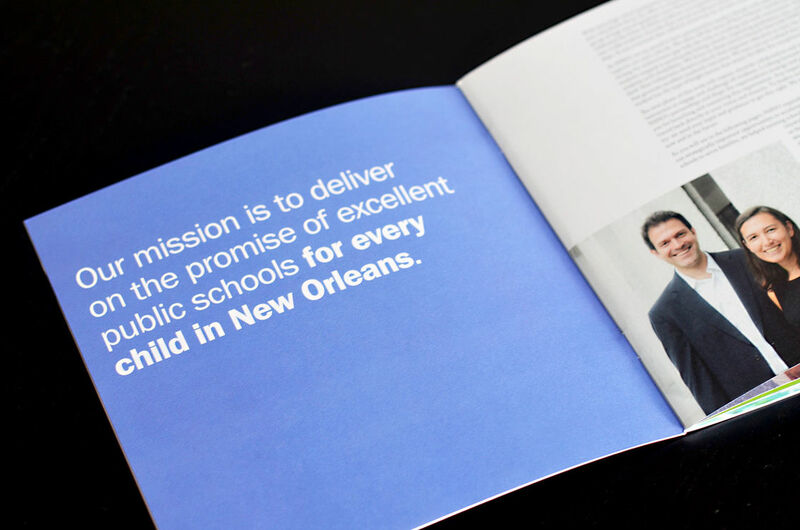 If your business or organization would benefit from a process like this, please send us an email and we can start on your project.